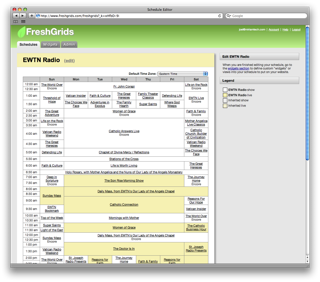 A new service that enables you to insert an interactive program schedule into your radio station website. Set up a schedule from scratch or use one of our managed base schedules as a starting point. Create your widgets. Drop a few lines of code into your website, and you're off and running!